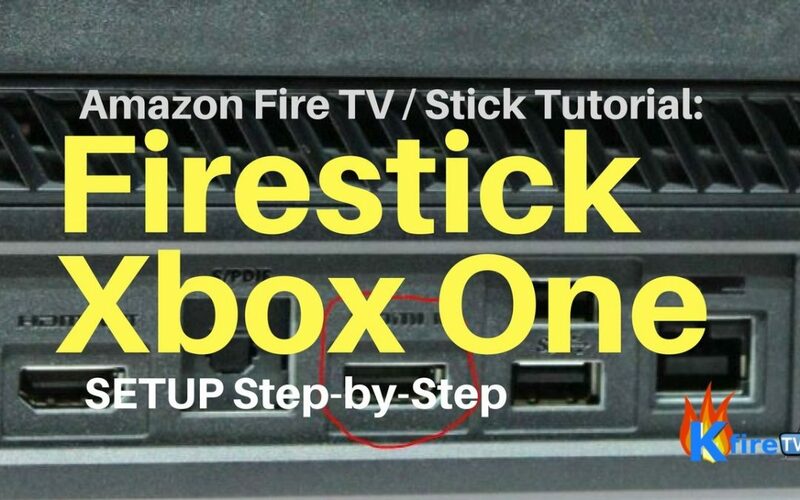 This tutorial walks you through how to setup the Firestick Xbox One combination. It’s hard to believe that just a few short years ago, anything that appeared on your home TV screen came through an insulated wire. Things have changed very quickly, and in many cases, manufacturers have a hard time keeping up with these changes. Televisions, game consoles, and other entertainment hardware usually only get one update a year. Even though the tech you used in January might be nearly obsolete by December, you’re still using the same hardware. This technological disconnect sometimes causes problems, as many people basically have to shoehorn today’s gadgets onto yesterday’s hardware. However, when it comes to Firestick-Xbox One connections, the installation process may not exactly be 1-2-3, but it usually is pretty close. Why Do You Want a Firestick Xbox One Setup? For those of you just tuning in, the Amazon Firestick basically combines the convenience of cable TV with the choices of Hulu, Netflix, and other video streaming services. This synthesis makes a Firestick especially good for designated gaming TVs that may not be hooked up to a digital antenna or cable outlet. The Firestick is basically Amazon’s version of Google Chromecast and Roku, which are the other streaming TV sticks on the market. To a considerable extent, these three are all about the same. That being said, Chromecast doesn’t have a designated remote, and that deficiency may be a deal-breaker for some. The AI Alexa interface is one thing that sets the Firestick above the other two. It makes things easier now and also sets the stage for bigger and better things when the next version comes out, which should be sometime in 2018 or 2019. Customizable apps are available as well. The Firestick also has a slightly faster processer and better Bluetooth connection. Often, these negligible upgrades produce a noticeable difference in the user experience. Instead of installing the Firestick on your TV’s HDMI port, setup Firestick Xbox One by installing Firestick in an Xbox One HDMI port. Then, go into OneGuide. The Firestick app is at the bottom of the HDMI channel. You’ll probably need to “wake up” the remote during the Firestick-Xbox One connection process. Just press any button. You should be able to control TV volume with your Xbox remote. If you have any add-ons, like an HDMI splitter or a projector, consider disabling them before you install the Firestick. To optimize Firestick-Xbox One combinations, some people download and install Kodi first. This app is an open-source media player that’s designed to work with Firestick and other content providers. Kodi cannot be installed from an Xbox One console, but that’s just a technicality. Use a file management program, like ES File Explorer, to download Kodi onto your Firestick. Then, proceed as above. The Kodi/Firestick combination is quite easy to use and includes some additional features, like split-screen gaming and TV watching, as well as some additional content. What Are The Firestick’s Specs? First-generation Firesticks had Broadcom BCM28145 Dual Vore 1.2 GHz processors. This processor is almost exclusively used in video streaming products. The first-gen devices also had 1 GB RAM, 802.11n WiFi, 8GB Storage, and Bluetooth 3.0. Second-generation Firesticks, which were introduced in 2016, have tablet-grade Mediatek 8127D Quad-core ARM 1.3 GHz processors, along with 802.11ac WiFi, 1GB RAM, 8GB Storage, and Bluetooth 4.1. Both devices have the same resolution (720p or 1080p). Does the Firestick Require a WiFi Connection? Yes. Even if you stream local content with Plex or a similar app, the Firestick’s interface does not load without an Internet connection, and the device has no Ethernet port. For best results, the network should have at least a 3 Mbps capacity for SD video and 5 Mbps for HD video. To achieve that level, some people need independent WiFi routers for their Firestick-Xbox One connections, but that doesn’t happen often. Does the Firestick Work with an HDMI Converter? Yes…kind of. In addition to a converter, you’ll need a red, white, and blue RCA cable. You can stream, but at a maximum 480p. That is the highest resolution that RCA video supports. Can I Have More Than One Firestick? Good question. Users can definitely have more than one, but the website does not say anything about a maximum. This issue comes up a lot in Firestick-Xbox One connection cases, because as mentioned earlier, a lot of Xbox TVs or computer screens are designated game stations. Can You Connect a Firestick to WiFi Without the Remote? Not really. Sometimes, people who travel with their Firesticks (which is another good reason to get one) and leave their remotes at home have this problem. Fortunately, this issue hardly ever comes up with Firestick-Xbox One connections, unless you hook up your Firestick to a friend’s Xbox One or vice versa. The Firestick is an entertainment game-changer in and of itself, just like the Xbox One. Put them both together, especially if you use Kodi to optimize the experience, and you’ve got something really special.